Offering you a complete choice of products which include nebulizer. 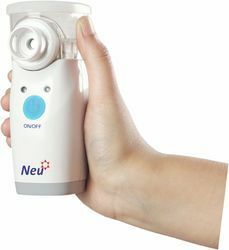 The new lightweight and quiet Compressor Nebulizer from Solution4 U lends itself to occasional nebuliser users, those looking for a small unit to take on holiday, or for patients who need a back-up unit. It works on 100 - 240 v so can be used internationally. It only produces 46dB of noise which makes is useful for night-time use.